It was only 13 months ago when the World Health Organization declared zika a global health emergency, particularly in Latin America. With babies born with deformed heads, men and women alike were worried about going to Brazil for the Rio Olympics last August. And while the zika virus has not exploded into a pandemic as some had warned last year, it is still an outbreak of urgency, one that still concerns mothers-to-be in the affected regions. In 1964, a disease that struck fear in populations throughout the world was cholera. From 1961 into the 1979s, the world was facing the seventh known outbreak of a cholera strain called El Tor. While El Tor was rarely fatal, its symptoms of severe watery diarrhea over days were enough to cause considerable fear. El Tor emerged from Indonesia, to such countries as Bangladesh, India, the USSR, Italy, North Africa and the South Pacific. On Tuesday, October 13, 1964, the third day of the Tokyo Olympics, the newspapers explained that El Tor had made it to Japan. The October 14 Yomiuri reported that Mr. Shoji Endo, a company employee of Dai-ichi Kinzoku Company, a trading company that specialized in importing metal. Apparently, Endo had returned to Japan on Saturday, October 10, after working in Kenya for three months, and then returned to Japan through Calcutta, India and Bangkok, Thailand. Immediately after arriving in Tokyo, he boarded a train to the resort town of Shimoda to join his company colleagues on a company trip. On Tuesday, October 11, Endo fell ill with diarrhea. People who had been in contact with Endo, colleagues and resort staff, were immediately placed in an isolation ward at a Shimoda hospital. The Shizuoka Prefecture government set up a cholera precaution headquarters at the resort, and set up facilities to inoculate the 15,000 residents of Shimoda and enforce quarantine measures. 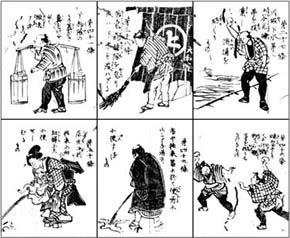 In Tokyo, the Welfare Ministry ordered an extensive anti-cholera campaign, and sent an official to Shimoda to ensure enforcement of the inoculations as well as the disinfection of buildings (where foreigners have stayed) and ditches and the extermination of rats, flies and cockroaches. The Japanese National Railways, as well the Keisei Electric Railway Company took measures to disinfect stations on Endo’s travel route. The Izumi-so Inn was effectively closed, cordoned off from the public. Of course, this was a disaster not only for the Izumi-so Inn, but for the tourism business in Shimoda. As The Yomiuri explained, “the outbreak of cholera was having a serious effect on the town which depends on tourism for its finances. By Tuesday evening, an estimated 1,500 bookings had been canceled and the figure was rising. As it turns out, there was no cholera outbreak in Shimoda. Perhaps it was because the officials isolated Endo in time – cholera, officials said, is contagious only after symptoms have appeared, and apparently Endo had shown no symptoms before he left Tokyo for Shimoda. Endo eventually recovered and that was that. As for the Izumi-so Inn, it is still a thriving resort hotel, which, according to this Booking.com summary, is “a 3-mintue drive from Gero Train Station…offers Japanese-style rooms, an indoor and an open-air natural hot spring bath and Japanese cuisine.” If you’re in Japan and want to enjoy hot springs by the seaside, then look no further. 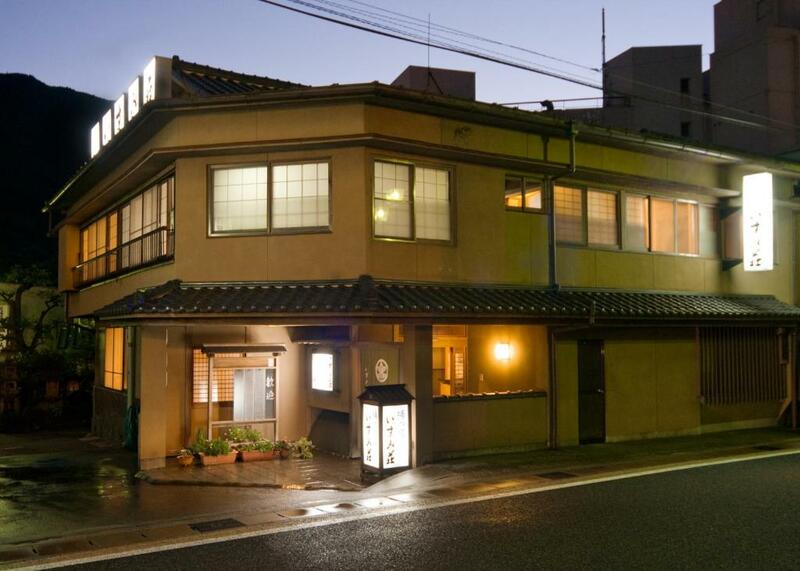 The Izumi-so Inn averages an impressive 8.7 points out of 10 on the site’s review section. Posted in Business, Japan, Rio Olympics, Tokyo 1964 and tagged 1964 Tokyo Olympics, 2016 Rio Olympics, Booking.com, cholera, Dai-ichi Kinzoku Company, el tor, health, inoculations, Izu, Izumi-so Inn, pandemic, quarantine, Shimoda, Shoji Endo, The Yomiuri, zika. Bookmark the permalink.